Research on St. Catherines Island is collaborative, collegial, integrative, and unique to this sentinel island. 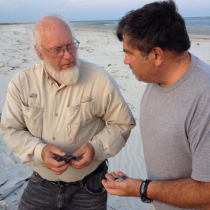 New knowledge acquired is applied to barrier island systems around the world. Gale A. Bishop and Nancy Marsh co-founded The St. Catherines Island Georgia Sea Turtle Program (SCISTP) in 1990, while Gale taught Geology at Georgia Southern University, later became Director, Museum of Geology and Paleontology at South Dakota School of Mines and Technology, and is now Co-Director of the GSUSTP@SCI operated through GeoTrec LLC, Fayette, Iowa. Under the St. Catherines Island’s mantra of “Conservation, Research, and Education,” the GSUSTP@SCI has taught sea turtle conservation to 344 interns, 274 of whom were Ga. K-12 teachers impacting ~312,401 K-12 students, conserved 3,082 loggerhead nests, shepherded 190,104 hatchlings into the Atlantic Ocean, and shared our experiences through numerous talks, publications, and websites (www.GSUSTP@SCI.edu). 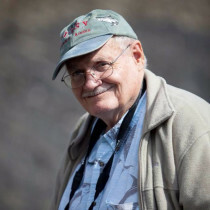 H. B. Rollins' research specialties include invertebrate paleontology, paleoecology, stratigraphy, coastal geology, and geoarchaeology. 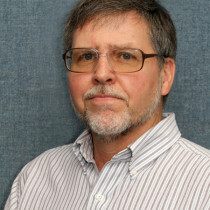 Besides Central New York State, he has done extensive research in coastal Georgia and coastal New England, Peru, and throughout the Appalachian Basin. 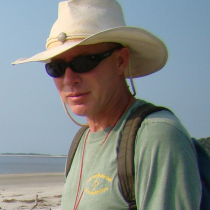 Ken Smith co-directs Sewanee’s Island Ecology Program on St. Catherines Island off the coast of Georgia. The program consists of a 14 week reading course followed by a 6 week intensive field course examining the geology, soils, land use, and plant, invertebrate, and wildlife populations on the island and surrounding marshes. 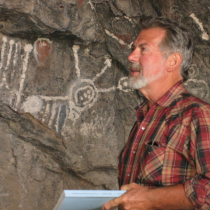 David Hurst Thomas has served as Curator of Anthropology at the American Museum of Natural History (New York) since 1972. For seven years, he was Chairman of the Department of Anthropology. He has taught at Columbia University, New York University, University of California (Davis), University of Florida, University of Nevada, the City College of New York, and lectured in more than 40 countries. Kelly Vance is a Kentucky native who grew up working on a family farm and attended the University of Kentucky earning a BS in Geology in 1978 and a MS in Geology in 1984. 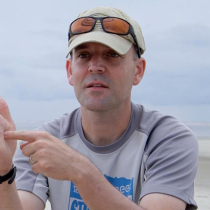 Kirk Zigler co-directs the Island Ecology Program and studies the evolution and development of invertebrate animals, focusing on cave biodiversity. He as worked with students on research projects studying animals as varied as spiders, snails, millipedes, ants, isopods, beetles and clams.